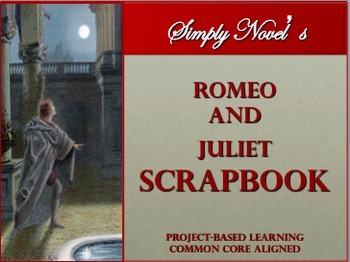 This Project-Based Learning activity is meant to be a companion to the A Novel Advantage Romeo and Juliet Novel unit, however it can also be used independently. 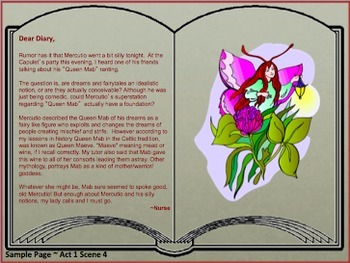 Students should bring their own notebook in which to construct their scrapbook. 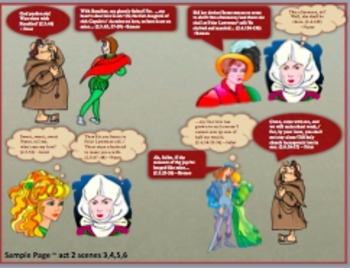 Each act and scene is memorialized in the scrapbook giving students the opportunity to take on a character's role in the play and see the events unravel through their chosen character’s point of view. 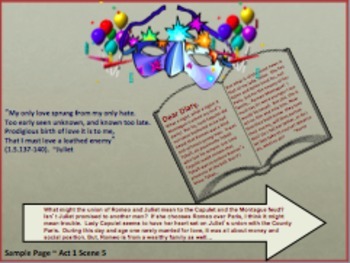 Aligned to the Common Core State Standards, this activity asks students to slow down and comprehend the why behind the events that lead to the deaths two of Shakespeare’s most beloved characters— Romeo and Juliet.